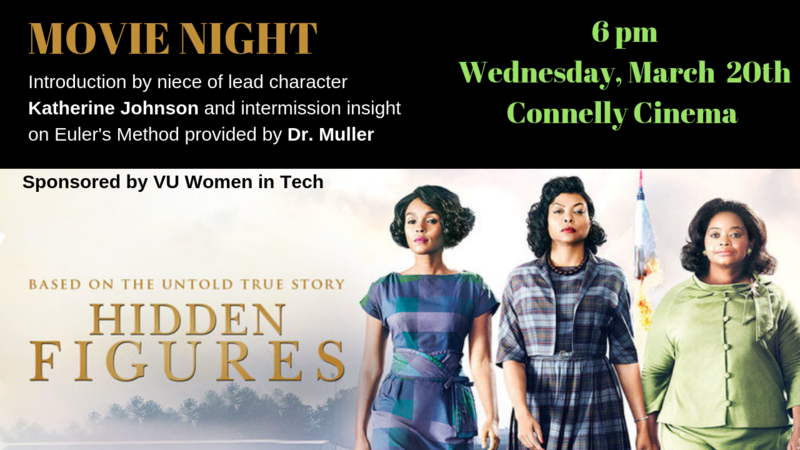 VU alumnae Robin Allen, great niece of "the" Katherine Johnson, kicked off the showing of Hidden Figures. Robin shared with us Katherine's life, her reality of segregation, and being such a critical player at NASA. For an intermission, Dr. Kaitlyn Muller provided great insight on the use of Euler's Method that was critical in determining where John Glenn's capsule would land. Both Robin and Kaitlyn helped make an extraordinary movie even more engaging! Villanova students joined other enterprising students from Swarthmore, Haverford and Bryn Mawr in viewing the acclaimed movie She Started It. The evening included a reception as well as panel discussion with local female entrepreneurs. It was inspirational to hear Barbara Bigford, Prianka Ball, and Dorrit Lowsen share the challenges of getting funding and opportunity as well as the power of perseverance and passion that led to their success. VU Women in Tech had a strong showing at this year's annual event. A great 2 days of hands-on workshops and keynotes such as the admirable Lucinda Duncalfe and Stephanie Humphrey. Great hands-on sessions and breakout talks on topics ranging from ethics and machine learning to career management. Fantastic to see several alumnae at the event and engaging with our current students. 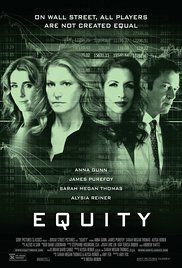 A great panel discussion about the powerful role women play in this cut-throat, Wall Street thriller that tackles ethics, greed and relationships! Much thanks to the following women whose careers have been based in the financial services: Deborah Mohr Geffken, Joslyn Ewart, and Moira Disandro. These panelists provided their review of the film as it related to their experiences and careers. This is the 3rd year that Villanova has sent students, faculty and staff to this conference. It is a 2 day event that includes seminars and workshops on Friday and networking, keynotes and breakout sessions on Saturday. This event is inspired by the number of women in the Philadelphia area doing incredible things with technology at companies like Comcast, Buzzfeed and several Philly startups. Over 300 women from across the Mid-Atlantic region gathered at the Chemical Heritage Foundation in Philadelphia to participate in the 2016 Women in Technology Summit. In this annual event, women come together to learn, network and inspire each other. Keynote speakers included Eloise Young, CIO of Philadelphia Gas Works, and Susan Tabor-Kleiman, Founder of Your Professional Writer. The Innovation, Creativity, and Entrepreneurship (ICE) Institute sent 14 students, faculty, and staff to the summit. The event exposed the students to the ever-changing world of technology and strengthened their development as tomorrow’s female business leaders. 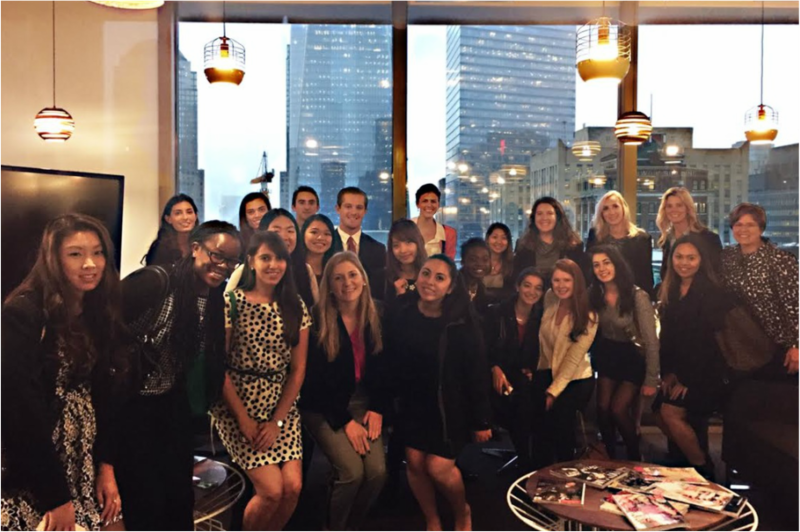 Over 20 students, faculty, and staff ventured to NYC to explore the headquarters of two leading conglomerates, Condé Nast and Estée Lauder. 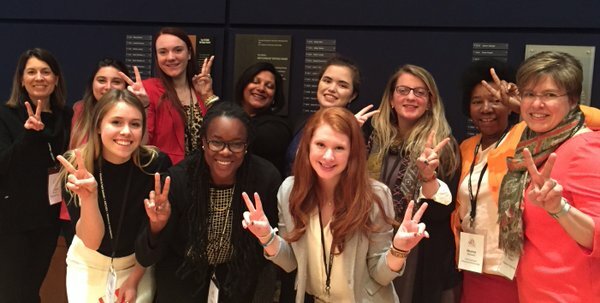 Students learned how the companies leverage technology to run their day-to-day operations, how women play critical roles in the businesses' strategic growth, and how personal passions can be transformed into professional opportunities. Presenters included Rhonda Vetere, CTO, Estée Lauder, Constance Howlett, VP of Packaging Operations, Estée Lauder, and Arlie Sisson, VP of Emerging Products, Condé Nast.